With Christmas fast approaching, visitors spending time in luxury hotels across the capital will no doubt be busy doing some last-minute shopping. Although the West End stores will attract millions of people, the fact is there are plenty of exciting alternatives, none more so than the Christmas markets. London has several of these and they offer a fantastic combination of the most festive atmosphere and the chance to find some novelty gifts not available anywhere else. So, you may ask, which is the best market? Some outstanding candidates exist. There are superb markets at Greenwich, on the South Bank, in St katherine’s Docks, at London Bridge and at Winterville in hackney’s Victoria Park. 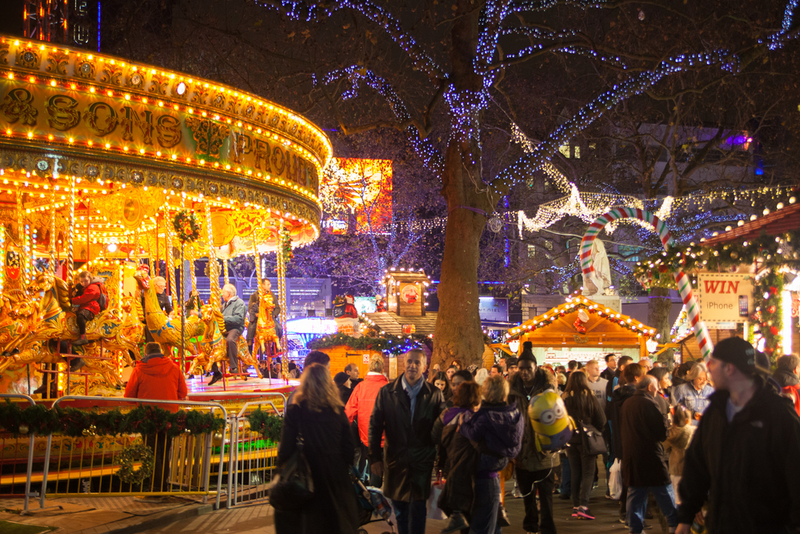 However, the best surely has to be in Hyde Park, part of the Winter Wonderland that runs through the pre-Christmas period and beyond, lasting until the first few days of 2016. This is just what a Christmas market should be: loads of stalls offering a wide variety of goods, from gifts and crafts to hats and coats, with lots of novelties you are unlikely to find elsewhere. It also comes with that other staple of the markets: superb food and drink. Whether it is hot gluhwein, roasted chestnuts or a tasty bowl of paella, there will be something hot and delicious to warm you up on a cold day. If all that wasn’t enough, the market is just part of a smorgasbord of Christmas delights. There is an ice rink for those who fancy themselves as Torvill and Dean, a big top with circus shows, an observation wheel that offers a seasonal alternative to the London eye, an Ice Kingdom with a magical array of frozen sculptures that the children will love, and other activities for the kids such as funhouses, a helter skelter and carousels. So, while the other markets are well worth seeing and exploring, there is little doubt that when it comes to London’s Christmas markets, Winter Wonderland tops the bill.